Holiday cards are one of the main reasons we love this time of year. It’s so much fun to hear from old friends and see photos of all of the families you care about most. 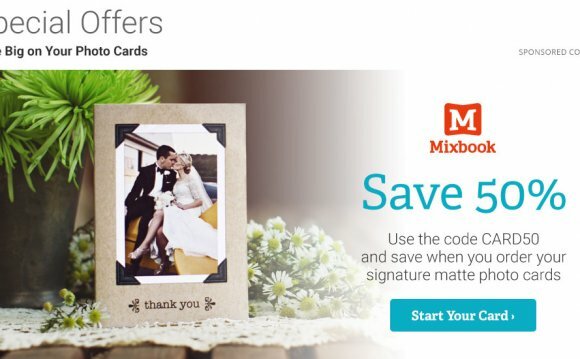 But gone are the days where you must trudge to Wal-Mart or Walgreens to purchase your cards; nowadays, it’s easier than ever to make your own incredibly personalized cards online…in just minutes. Our good friend, The Internet, has saved Christmas! To us, the best greeting cards are those which incorporate beautiful design with incredible photos. If you’re stumped for creative ways to take photos (no matching sweaters, please), we have some great tips. Next, select a design from one of our favorite custom card printing companies and upload your photo to match. These new online stationery services will print and mail you the cards, or better yet, some will even mail them to your recipients for you. Here’s a run-down on our five faves. Minted is like the designer’s democracy. They hold monthly design contests where any designer can submit stationery for the Minted community to vote on. It’s like you’re picking the inventory! What’s also great about Minted is that after you customize your card, a graphic designer reviews it and sends you a proof for final approval before printing. It’s always helpful to know that a professional reviewed the card before you send it out to all your friends and family. While they have a selection of non-photo greeting cards, Simply to Impress is a card printing company that primarily focuses on photo based cards. While customizing your card is easy, they have less font and design options compared to Minted. After you approve your design on the website, it goes straight to print (without any additional review). Don’t be confused by the name, Paperless Post now creates paper cards in addition to their e-cards! The great part of Paperless Post is that once you create a card you can send paper or digital versions of the card. The website is also extremely clean and easy to use. They have a ton of options for customization– you can even customize the lining on your envelopes. I’m a pretty big fan of the colorful chevron pattern above. Who says the holidays have to be full of red and green? Originally known for basic photo printing, Shutterfly has expanded into custom lines of photobooks, calendars, and of course, greeting cards. They have hundreds of designs, but are more limited when it comes to customization options. However, you can have a professional review your design before printing. Plus, we really like that price point — it’s about $1/card. Fanning World is a fan site about Dakota and Elle Fanning.